The international version of HTC Butterfly J & HTC Droid DNA appears on HTC International website. The phone debuts as HTC Butterfly. 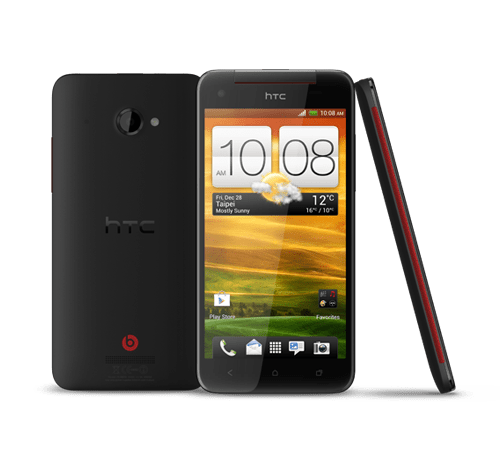 HTC Butterfly loaded 5-inch 1080p Full HD Display, 1.5 GHz Quad-Core Snapdragon S4 processor and 8 MP rear camera and 2.1 MP front camera. HTC continues its best display with butterfly, the 5-inch 1080p full HD display with 440 PPI delivers superior sharpness, white balance, and color accuracy of everything you see. The display is covered by Corning Gorilla Glass 2. HTC Image sense continues with HTC Butterfly, the rear 8 MP camera comes with auto-focus, LED flash & BSI sensor, f2.0 aperture and 28 mm lens. HTC also improved front facing camera, 2.1 MP will record 1080p HD video. All the other features you came across in one series is available in HTC Butterfly. HTC Butterfly has 2 GB RAM, 16 GH Internal Storage and MicroSD card slot (finally they added). It seems HTC Butterfly will be available in two versions: One with Android OS and another one is Windows OS.